Introduced during the Vietnam War era, the M65 trousers are a tough and weather-resistant version of lighter BDU pants and can be worn along with a well-known M65 jacket as an outer garment in cold and wet climates. 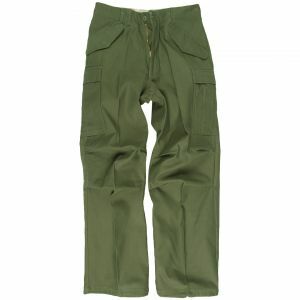 Throughout the years their classic, generous cut and durability decided that this model of combat trousers become exceptionally popular and nowadays is one of the most recognisable and respected military style pieces of clothing. 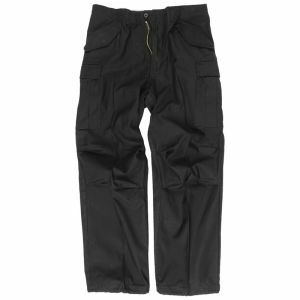 M65 trousers feature seven pockets, including double-stitched cargo pockets and one small internal pocket, which offer lots of storage room, while waistband adjusters, loops for suspenders and knee pleats help to provide exceptional fit and comfort of wearing. 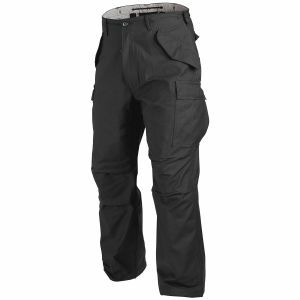 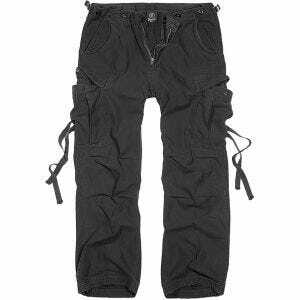 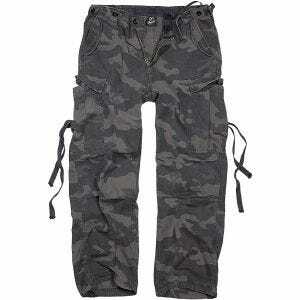 These cargo trousers also go with drawstring legs allowing tying trousers to legs or shoes, while internal buttons can be used for attaching the inner layer of the cold-dry uniform. 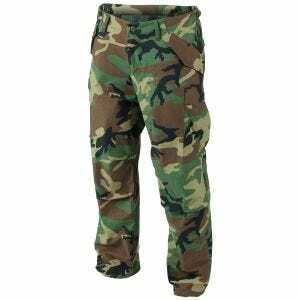 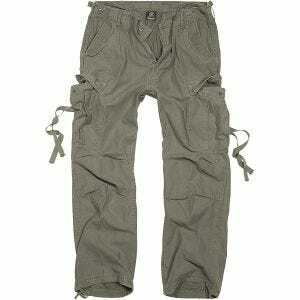 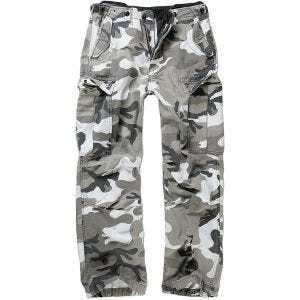 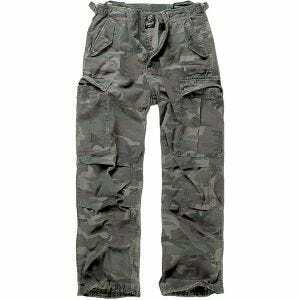 Hard-wearing and comfortable M65 trousers, available in a variety of colours and classic Woodland camo pattern at the UK based Military 1st online store, are suitable for general forces personnel and cadets, as well as for Airsoft enthusiast, hunters and paintball players, but also for fishing and general outdoor activities.